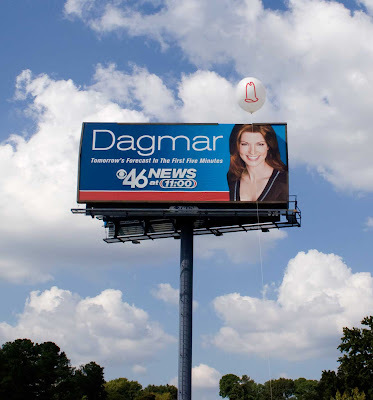 Arby's (a fast-food chain) flies balloons with its logo in front of others' billboards in Atlanta. 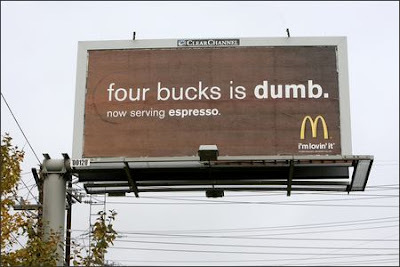 The chain's current slogan is "I'm thinking Arby's", naturally. 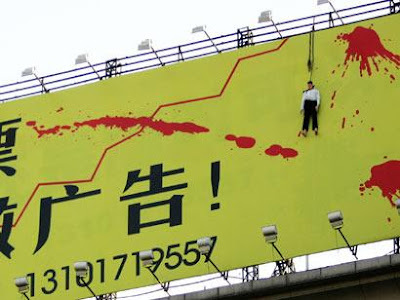 Chinese samaritans were outraged when they saw this billboard for a local mall featuring a hanging body and copy "It's better to invest money here than put it into the stock market." 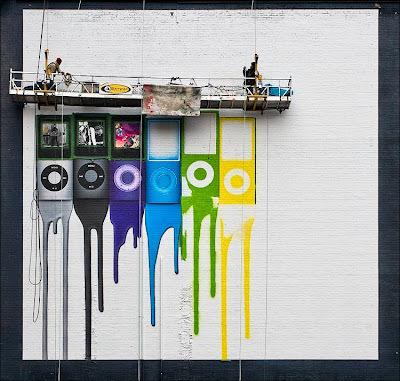 Painters create iPod nano wall mural ad.